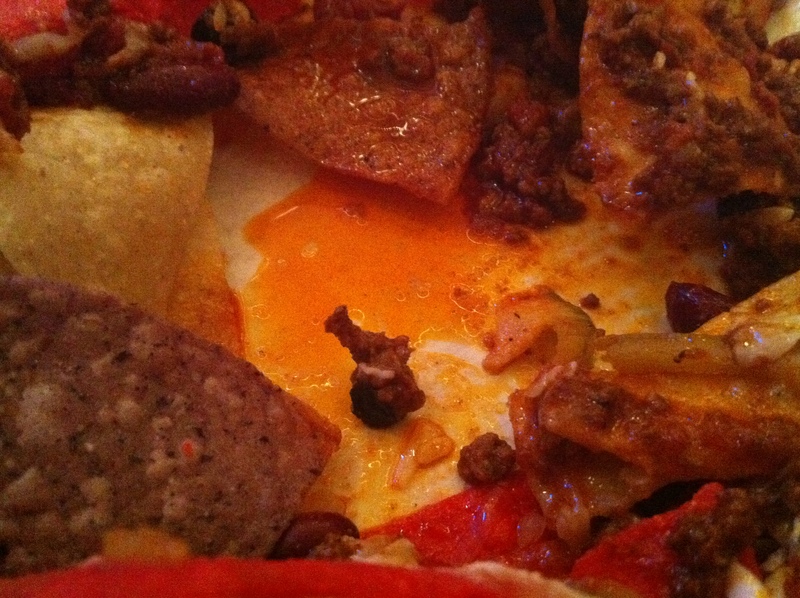 Consider this: has there ever been an opportunity as wasted as Jacob Wirth Restaurant’s nachos? Jacob Wirth resides in the heart of the Theatre District, which isn’t known for having good nachos or for being a generally pleasant place at all. They serve German-ish food, and if it’s a more American dish, they may throw in a spare spaetzle (please see “Quality of Ingredients” for a further discussion of this phenomenon) to liven things up, or confuse you terribly. Our primary complaint with Jacob Wirth–besides the fact that most of our food was bad, our service not very good, and the beer wildly overpriced–is that they have all the ingredients to make creative and delicious nachos, yet they chose to offend our culinary senses by serving up an abominable (yes, abominable) substitute. Were this plate to fall out of a vending machine at The Tam, we would not lift an eyebrow. They’ve failed at being a German restaurant by offering American-style nachos, and accordingly, those nachos have failed to be edible. There is a vast world of opportunities lying in wait in the Jacob Wirth kitchen (beer cheese sauce? sausage? cabbage? spaetzle chips? bah! ), and it is frustrating that they give us something so unpalatably average. 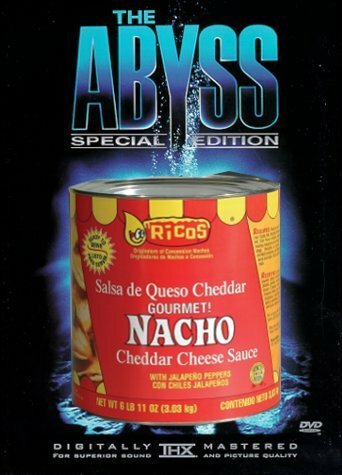 Appearance: (4) Wan and sad looking, we knew we were in trouble when we saw the burnt, multi-colored chips (tinted with industrial grade food dye, rather than real blue corn) and the sparse coating of unmelted cheese. While we appreciated the annexing of the sour cream to the plastic cup, the guac was grayish and unappealing. The black beans stood out and felt totally unnecessary, especially since they added nothing to the overall taste. Even the black olives were off. We liked the brightness of the red peppers–a happy change from the typical jalapeno. A carrot: what is this, ShittySide? White beans: yum, but wtf? 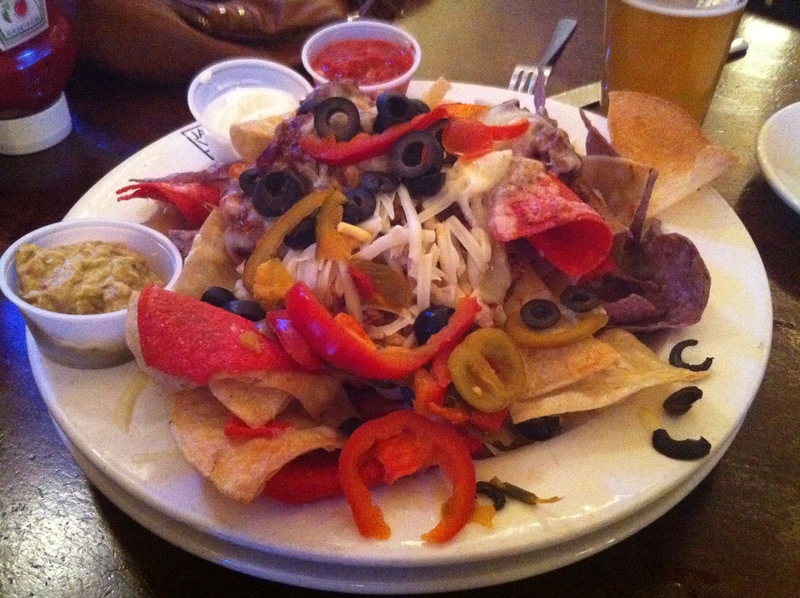 Distribution of Toppings: (4.6) Not enough toppings–a mess of bad chips without a pillow of cheese to smother them. We’re thankful the guac and salsa was separated, as both were so terrible. Price: (7) $10.25 for the whole sha-bang. We wondered if our Groupon usage on this particular evening could have affected our meal. Could it be that they took half off not only our bill, but also the quality of our food? We’ve read that businesses who use Groupons very rarely see the deals result in repeat customers. Our experience at Jacob Wirth leads us to believe that it isn’t the lack of a coupon that prevents people from returning–it’s in fact because the food is just not that good.